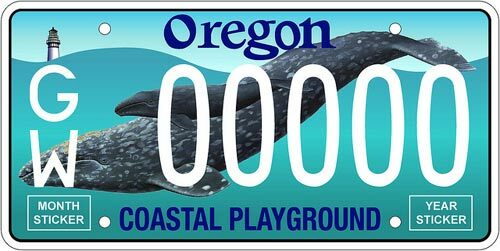 (Oregon Coast) – What are sure to be the most coveted Oregon license plates in years will be available to the public at the beginning of February: the whale plates. 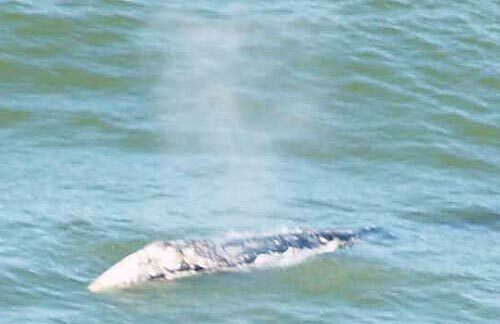 The new Oregon plates feature the image of a gray whale and her calf, and the public can snag them from the Oregon Department of Motor Vehicles beginning on February 1. The plates will be $40 – for new plates or renewals. $35 of that goes to the OSU's Marine Mammal Institute for marine mammal research, graduate education, and public outreach. Since many Oregon residents have already paid vouchers for the plates, all they need to do is submit those to DMV offices instead of any fee. Some small additional fees will be incurred because of new stickers, however. 10,000 plates have been ordered by DMV. The first 20 of the numbered plates will go to those who directly supported the Oregon coast, including regional politicians such as state senators and representatives from the coastline. 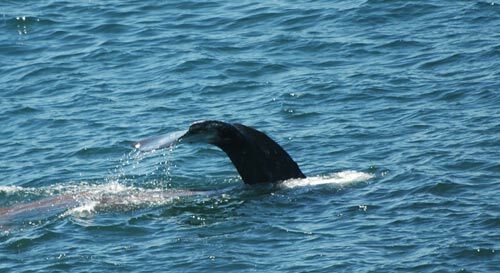 The plate's mother and calf whale were drawn by internationally-known illustrator Pieter Folkens. Graphic artist Pete McKeeman, who has won an Emmy in the past for his work, added the two-tone background that represents a sea and sky, accentuated by an Oregon coast lighthouse in one corner. The plate reads “Coastal Playground,” which slightly harkens back to the old “Pacific Wonderland” license plates the state has had in the past. 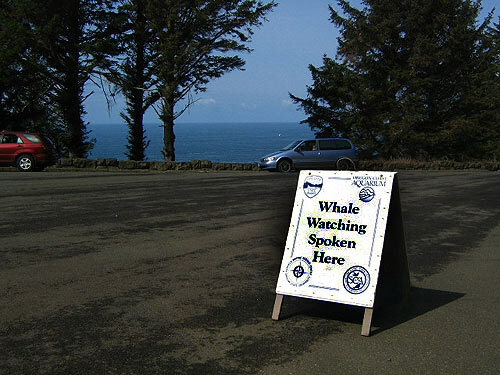 A variety of whale-oriented programs will be supported by the Oregon coast whale plates, including the “Whale Watch Spoken Here” program, where Hatfield Marine Science Center researchers train more than 100 volunteers to help the public find whales during the twice-yearly migration peaks. 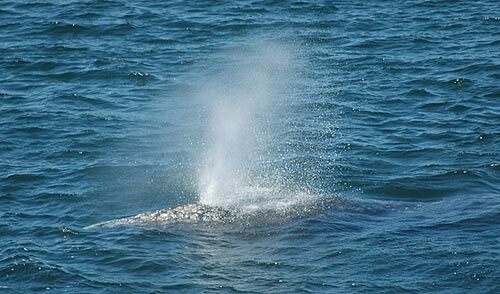 It's a public outreach program that enables scientists to pass on important information to a hungry audience, teaching about conservation issues in the process. It's an effort that reaches about 45,000 visitors each year from as many as 50 different countries around the world.